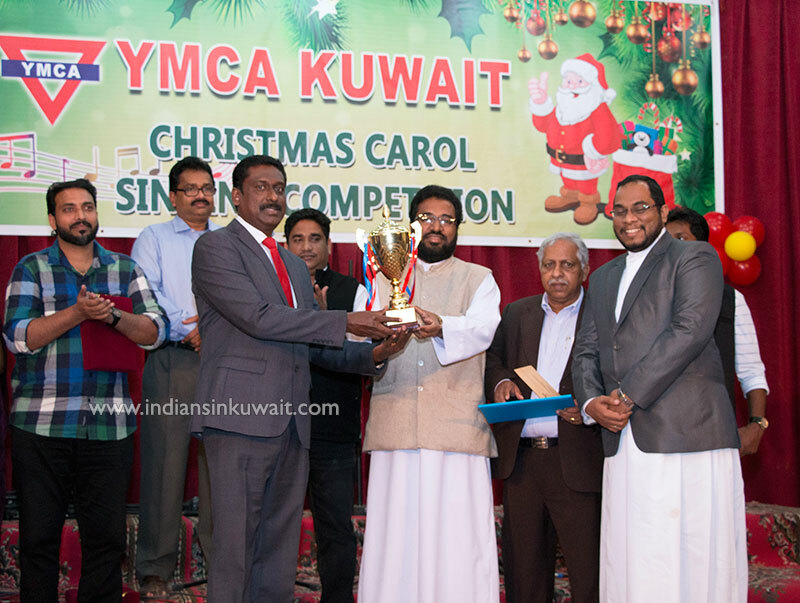 YMCA Kuwait conducted Christmas Carol competitions at Indian Community Senior School Auditorium, Salmiya. The program started with a prayer by Ms. Chechamma Sunu followed by Welcome speech by Parimanam Manoj (YMCA Secretary). Mr. Mathew Eapen (YMCA President) presided over the inaugural function. The event was divided into two stages. The first stage was the Carol singing competitions. Seven teams have participated for the competitions. In addition to the main churches, Indian community school also participated. It was a tight competitions for the positions of Second and Third place. The winners were awarded with ever rolling trophies sponsored by YMCA members. 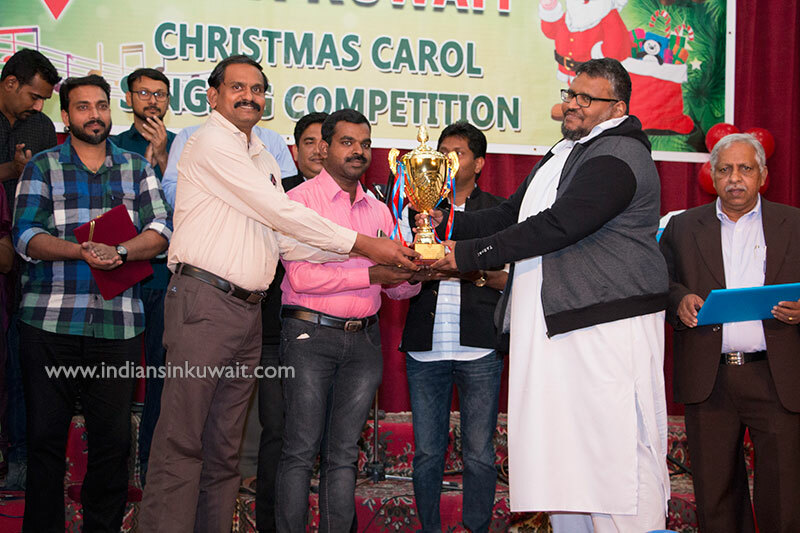 1st Prize for Malankara Catholic Church sponsored by Raju Kurukavelil & family, Then the 2nd Prize for St.Thomas Tamil CSI Church Ahmadi Sponsored by Christina Mariam Mathew and the 3rd Prize for St. Pauls CSI Congregation Sponsored by Alex Cherian & family. The Christmas message was delivered by Very Rev. Fr. K.S.Samuel Cor Episcopa. Also, many Priests from different churches witnessed and blessed the occasion and handed over the Trophies, Mementos to the Winners, Judges and other personalities. 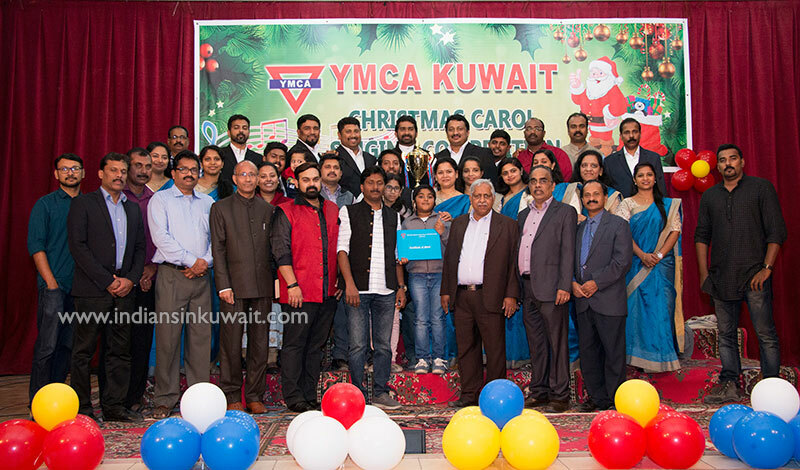 The Second stage was the Carol singing by Choirs of KTMCC and Praise Voice Music Kuwait. The program was attended by a large gathering and it was a memorable day and a great opportunity for all the members and well-wishers to mingle with each other and renew their friendship. Mr. Mathews Mammen served as the Convener of this event and has done a commendable job in the whole arrangements. Mr. Raju Kurukavelil proposed vote of thanks. Mr. Mathew Varkey (YMCA Vice President) declared the Prize to the Winners. Different committees were formed for the smooth functioning of the event under the leadership of YMCA Board members. Mr. Harold presented the program with brilliant compering.